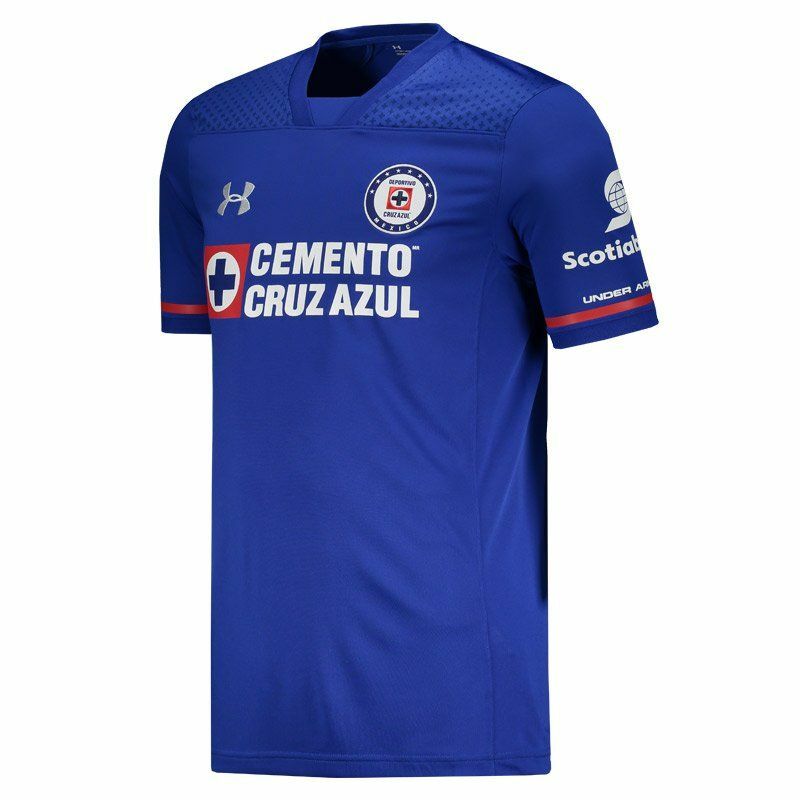 Under Armor presents the Cruz Azul home shirt for 2018, the right choise for fans to use in games and day to day. The piece is made of lightweight polyester and features HeatGear® technology. More info. 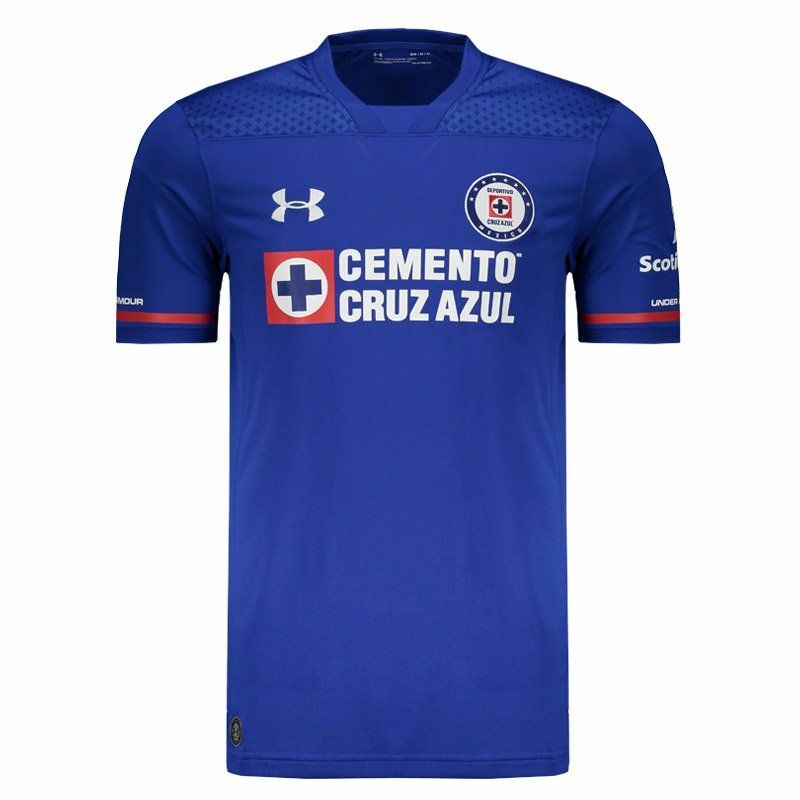 Under Armor presents the Cruz Azul home shirt for 2018, the right choise for fans to use in games and day to day. The piece is made of lightweight polyester and features HeatGear® technology, a fabric with compression fit, odor control and transports the moisture away from the skin, leading it to the surface while accelerates the evaporation and keeps the body cool and dry. 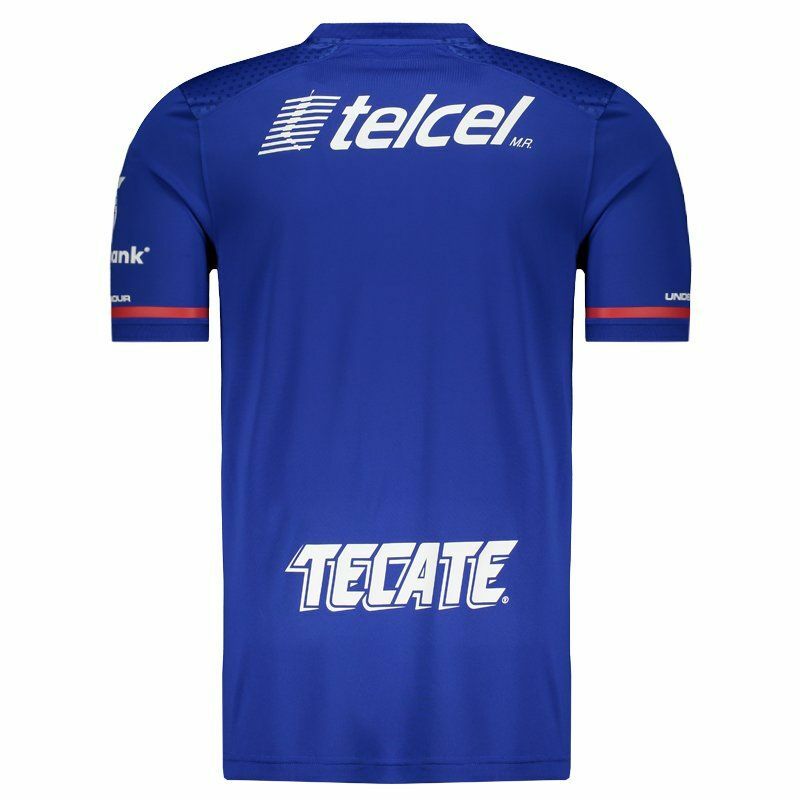 Its design has the predominant royal blue color with a grid pattern of crosses arranged on the shoulders in a darker color hue. 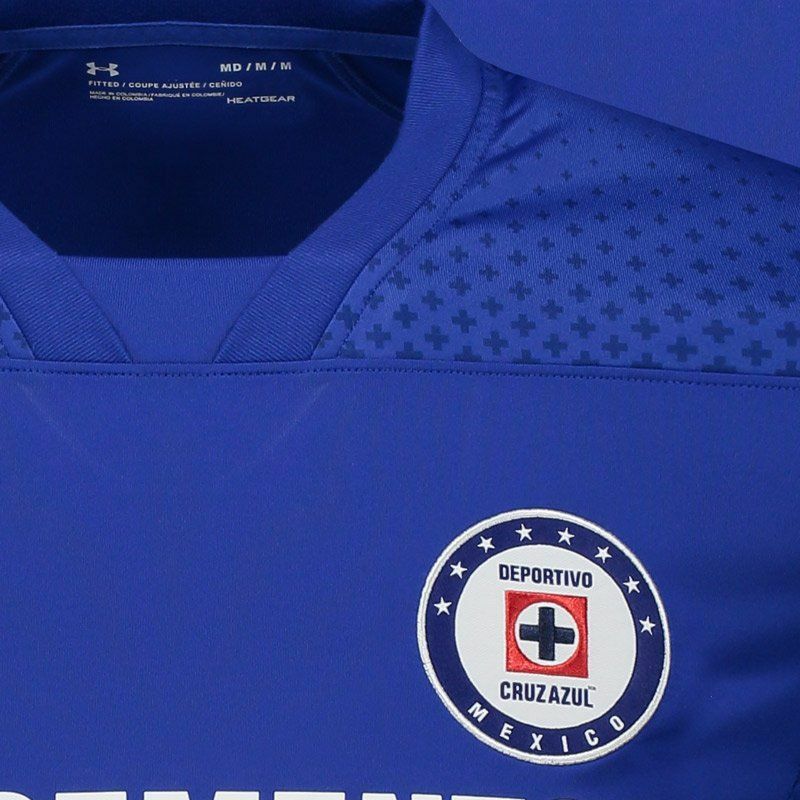 There are also red details on the sleeves and the team badge embroidered on the chest, as well as the logo of the supplier brand. In addition, the collar is crew neck with distinctive cut and, finally, the uniform offers name and number customization in the official font. Get it now!